Could Cork handle a skyscraper fire? By TheCork.ie on 22nd March, 2018 Comments Off on Could Cork handle a skyscraper fire? Cork City Councillor Ted Tynan is to ask the city CE, Ann Doherty, to outline the extent to which the city’s fire brigade is equipped to fight major fires in high-rise buildings. Cllr. 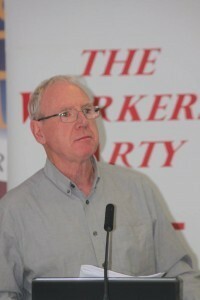 Tynan (Workers’ Party), speaking in the wake of a major fire in Dublin’s 15 storey high Metro Hotel, said that given the recent move towards high-rise development in our cities it was relevant to raise the question of how well prepared fire authorities were in the event of a major fire. Cllr. Tynan said: “Thankfully there was no loss of life or serious injury in last night’s fire in Dublin, thanks to the rapid response of the local brigade and the orderly evacuation of the hotel, but last year’s tragic and disastrous fire in London’s Grenfell House must be a reminder of the dangers posed by fires in high rise developments”. He said: “There is currently a proposal for a 40 storey tower adjacent to Cork Customs House, we already have two of Ireland’s tallest buildings in the city and Minister Simon Coveney is on record as favouring more high-rise developments. In that light the public are entitled to know how well equipped fire brigades are for fighting such fires and if they are not so equipped when will provision be made and at what cost”. The Workers’ Party councillor praised the work of the fire brigade and other emergency services but said that they need to be properly resourced.